THE BOOK: The Martyr’s Brother. THE EDITOR: Through Deeds Publishing. SUMMARY: The Martyr’s Brother is a work of suspense featuring a contemporary theme and a female sleuth. Five years ago, a suicide-bomber named Nadheer detonated an explosive-filled Toyota outside a Middle East military checkpoint. The blast shattered more than those immediately around him—it forever changed two other lives. Shafra, his brother, who worshipped Nadheer and longs to follow in his footsteps, and Alicia Blake, whose husband’s violent end in the same terrorist attack haunts her and drives her overactive imagination. Now Shafra has arrived in America, with his sights set on Atlanta. Alicia holds the key to stopping him before he rips the world apart, but time is ticking away. THE BACK STORY: Having completed two works of historical fiction, the genre where my heart is, I wanted to “stretch” and try something new, a work of suspense, set in the current day and in the city where I live. At the time, and unfortunately still today, terrorism was in the headlines, even if in major cities and most often abroad. I began to speculate on what would happen if terrorists aimed their sights at a secondary target, a smaller, ordinary city where ordinary people live, like our own home towns and neighborhoods. That’s the source, but the real story to me is how violence affects us regardless of the specific nature of the violence. WHY THIS TITLE? : I must have considered two hundred titles before deciding on The Martyr’s Brother. My first choice was Soft Targets, but I found later that had been taken and by then I was so attached to the title it was difficult to find a new one. Finally I asked myself what the book was really about and I decided it was not the terrorist but the person that the terrorist left behind. It fit well, I thought, as each of the central characters has been touched by someone who committed a terrible crime. WHY WOULD SOMEONE WANT TO READ IT? 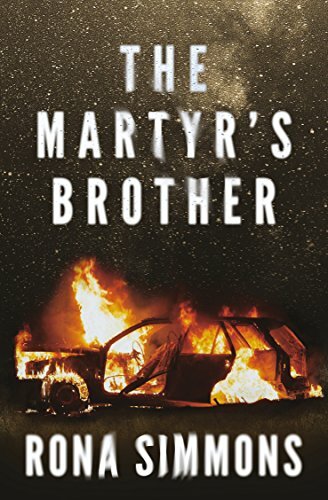 The story is fast paced and so I think people who are looking for a few hours of entertainment might consider reading The Martyr’s Brother. But the story is also filled with research about what’s happening behind the scenes in “our own backyards,” things we might not want to think about but can’t ignore. And finally, and maybe most importantly, the characters. There’s someone to cheer for here, and I hope in the next in the series. An intriguing contemporary tale of our times depicting how these factions at war have faces and absolutely none of them is sure of what they are doing.” – Hope Clark, The Edisto Island Mysteries and The Carolina Slade Mysteries. “…a fast and engrossing story that carries us into a world of deception and terrorism…” – David Darracott, Georgia author of the year for Wasted. 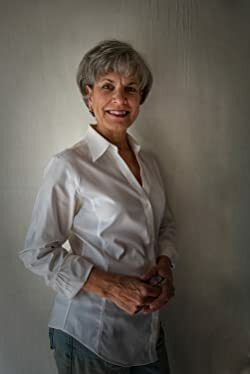 AUTHOR PROFILE: One of the hardest things to write is your own profile, so, let me just say, I came to writing “late” in life, after a thirty plus year career in business, a childhood in a military family, and a mother gifted in the appreciation of beauty in the world around us — each gave me the experience on which to base my writing: from my mother imagination, from my father the itinerant military life with exposure to different places and people and cultures, and from my career the discipline and dedication to sitting down and writing. I write because I enjoy the act of writing and because I hope others will find momentary pleasure in the finished product. AUTHOR COMMENTS: While my intent in writing The Martyr’s Brother was to grab people by the collar and force them to look at the world beneath the veneer of everyday life and perhaps to experience a world they didn’t know existed but also to make them realize how fortunate they are to live where we do and how we do and to cherish their friends and family and country that much more. PRICE: Various, depending on format and source. blog: From Acworth to Zebulon: actworthtozebulon.wordpress.com. Thank you so much for profiling my book this week. I commented on social media, reading your blog is like going backstage with a book and an author!